Coinexchange.io Review 2019 – Scam or Not? Have you visited an exchange website recently? Was it one of the famous names that you keep on seeing on ads being posted everywhere on the internet? There are so many websites today that offer exchange services due to the sheer demand of it. But what has driven the demand? For the past few years, BTC or cryptocurrency, in general, has been sitting in the corner of the “world market” and slowly gaining communities that actually use it on a daily basis. Just like in the real world, when a currency is being widely used, it gains its value and multiplies it to outrageously increasing heights. The world of crypto is a fascinating topic to discuss, but we are here today for the websites that help encourage the use of cryptocurrencies. Today, we will be reviewing Coinexchange.io! Join us as we look into their website’s features, try and see if they have verification levels by creating an account, and definitely give you guys a preview of their exchange platform! Without further delay, let’s talk about that! What is Coinechange.io? The website provides exchange services for different cryptocurrencies. The exchange compared to others out there, does not accept Fiat payments from wire transfers, credit cards, and any other fiat payment methods. With that being said, the exchange focuses on crypto-exchange which is great for people that want to change their BTC to alt-coins or vice versa. 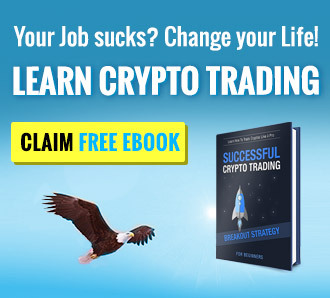 If you were looking for an exchange wherein you can convert your USD to crypto, then this is not your website. Now that we’ve straightened that out, where are they based on? Information where their website or company is based is not available on their website. We clicked on the “About Us” tab hoping to see company background information, and with no luck, they haven’t listed anything! This is completely out of this world! There’s no physical address and no country where it’s based at. What does this tell us? For the team, this is a red flag since we have no idea where the website is being run at and who is behind it. For all we know, they could be scammers. But then again, we might be wrong. They’re About Us page is filled with initial priorities and goals which is pretty weird if you ask us. We tried searching the internet for background information regarding the website but with no luck! Their mission is “To become a pillar in the online cryptocurrency market place” but they do not have the decency to share anything about their company background. There is a huge chance that the website is unregulated and is not being monitored by any legal entity. Verification levels are there to cap different account tiers and ground them on certain restricted abilities. Some of these abilities include complete use of their exchange platform and sometimes would even go to not being able to deposit and withdraw without going through a specific verification process. There are a huge number of websites today that apply this process, making it a pain especially if you really want to trade with that website but regional issues are put into play. So the question is does Coinexchange.io have different verification levels? We will figure that out together by creating an account with them! Click the “REGISTER” button found on the upper right-hand side corner of the homepage to be redirected to their registration page. 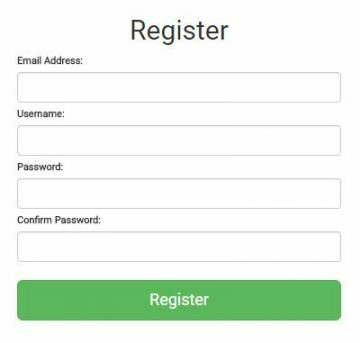 To create an account, simply provide an active email address, username, and password for the new account that you want to register with them –pretty basic information needed to create an account. The account creation is as easy as we thought it would be, knowing that they are an unregulated exchange website. After we provided the information we were sent a confirmation link to the email address we provided. Having a real email address to access the link is really important if you are serious about creating an account with them. We then clicked on the verification link and a few seconds later we were automatically logged into the account that we made! The first thing that will greet you is an option to choose between changing your password and activating the Google Authenticator for your account. Now that we’re on their website, what now? Now is the time to take a peek at their website features! Just like the majority of exchange websites today, they also offer Two-Factor Authentication here at Coinexchange.com. But despite the 2FA, they still offer a completely anonymous trading platform; which is great since even with the anonymity, accounts are still secured. Compared to regulated websites wherein you are able to report any issues to proper authorities, unregulated websites are the opposite since they are unregulated. Having a support such as 2FA is always welcome and we strongly advise to take advantage of it. Under the “More” tab they’ve got what is called a “Bug Bounty” feature wherein users are able to earn by reporting any bugs on the website or their exchange platform. This is common practice when it comes to online video games but this is the first we’ve seen an active exchange website offering this kind of promotion. Having users actively search for bugs is great since this would greatly decrease their maintenance cost but at the same time, have a bug-free website. The websites also support API, so if you are into API trading, then you might want to check them out. Now comes the most interesting part of the review, the exchange platform! We can talk all day about what their features are, how good their background is and what you will get if you sign up with them. But by the end of the day, the most important thing is their exchange platform. How good or bad is it? Before we go into the details of the exchange platform, we would like to share with you guys the available markets for their traders. Here users are able to trade with BTC, DOGE, ETH, ETC, and LTC against literally a myriad of alt coins to choose from! Due to the number of coins listed online, they have the “Hide Columns” tab wherein you are able to filter the ones that you want to see and not everything that is listed. Under the tab, users are able to arrange everything from Coin Name, Last Price, Change, 24hr Volume, 24hr High and Low, and Top Bid/Ask. For our example market, we’ve got the XP/BTC showing up in our screenshot. Due to the size of the exchange platform, we are unable to fit it all in one screenshot, thus we will be discussing them in two separate shots. On the upper part of the exchange platform, we’ve got the market showing and below that is the candlestick chart showing recent activity. The right-hand side panel also shows some interesting numbers that can be of great use to trade efficiently. Here you are able to see the last price of the coin against BTC and the average ask and bid price listed. One thing hit us when we were looking into their exchange platform; they are not automated compared to most exchanges out there today. This is why they have a really huge exchange platform wherein data can be found everywhere! The lower portion of the exchange platform we are able to access their orders tab. Here you can either buy/sell any coin that you have chosen. As mentioned earlier, their order page is not automated (but their fee tab is) when it comes to their current price for the market you have chosen. This is where the previous screenshot comes into play, the numbers and data provided can be of great use here when you want to buy/sell crypto. Their exchange platform is self-explanatory and everything that you need is basically in front of you. The numbers might be overwhelming at first, but give it a few minutes and everything will sink in, especially if you are not new to huge exchange markets. Judging by the number of markets you are able to trade here at Coinexchange.io and the features they have, we give them a solid 5/5. Now that we’ve virtually talked about almost everything on the website, it’s the perfect time to move on towards their fees. Fees are as important as the sun that shines and gives nourishment to the world we live in. People might think that fees come next to service, but we always put fees into consideration, do they have special rates? Or is it the same across the board? Such information may be of great use especially when dealing with multiple orders being placed simultaneously. Here at Coinexchange.io, they do not have wild promotions wherein you get to win a car (Kucoin.com) if you reach a certain number of coins being traded within the provided time frame. Across the board, they only charge 0.15% for buying and 0.15% for selling. The rate compared to most of the exchange websites today sits on the mid-range cost and is probably part of the lower mid-range fee costs compared to what everyone is charging today. Their fee schedule is not a secret and everyone can check it out through this link; even a person without an account can check it out. If you think that fees are your number one priority, then better look at what they have before moving forward. How do we get our funds in and out of the website? After creating an account, head on to your dashboard and click on “Balances” this is located under the “My Account” tab along with deposits and withdrawals. Click on either action you want to take and this will automatically redirect you to the page you want to visit. If you just want to check out how much they charge you for getting funds in and out of your account then the withdrawal fees and deposit confirmations can be seen through the “Fees” tab as well. Deposits are completely free but withdrawals need to go through confirmations and a fee is charged per request. For BTC the withdrawal fee is 0.00150000 with 2 confirmations required, LTC’s fee is at 0.01000000 and requires 50 confirmations. DASH on the other had charges 0.01000000 and requires 20 confirmations to withdraw. The complete list of the available coins and withdrawal fees can be viewed here. Having customer service when you need them is really important when it comes to websites that have access to your personal funds. We have stressed this a million times, and we will continue to do so for the benefit of our readers. Here at Coinexchange.io, they have a ticketing system but they lack phone and live chat support. Their support tab can be accessed separately and the account needed is different from the one you have with them, this means you need to create a separate one for their support page. Aside from their ticketing system, customers and visitors alike are able to browse through their “Knowledgebase” and read about general FAQ’s, account issues, withdrawals, and how to setup Two-Factor Authentication for people that haven’t tried it yet. The only reason why we are not so thrilled with the website is the fact that Coinexchange.io does not have anything regarding their company information. Leaving this in a dark closet is something that literally scares people away due to the seclusion of it. On the other hand they dont require a extensive verification and respect your privacy. Also they offer a large variety of small cap altcoins which can not be found on many other exchanges. When it comes to exchanging websites, we should at least know where the company is based at to get an idea on whom we are dealing with. But if we remove that scary fact, they do have a decent exchange platform and the registration is fast and doesn’t require any verification because they are unregulated. If you can get yourself over the fact that they practically do not exist, then yes, this might work for you. Do you have any personal experience with the website? Please let us know in the comments section below! NOt a scam at all. I have been using this exchange for almost 2 years, it’s very profitable for traders and investors, the fees are resonable and de variety of coin is enormous. Easy to trade and no bots allowed. One of the best exchanges. One time I had an issue with a withdraw they solved it very fast and gave me back the coins. Guys this is a scam exchange. They want to delist an exchange by supporting a man called Mr Siva(ZERO BLOCK)…He is scamming coins. wanting to take over the project. Recently he has reported a good project to the support team and now being set on inactive status. They are not a good exchange.Kindly beware about this exchange. Never had this happen anywhere else from this IP. Must be them.